CLEVELAND, OH -- Cavaliers player Iman Shumpert took on delivery room duties Wednesday morning when his fiancee went into labor in the couple's bathroom in Cleveland. Shumpert's fiance, recording artist Teyana Taylor, posted a photo of the couple's daughter on social media after it happened, along with an explanation. Taylor wrote that the baby's birth was a surprise, as she didn't know she was in labor until she felt the baby's head. "It took two ten count pushes with my fianc playing Dr and she entered this world into his bare hands! Eyes full of tears and barely able to speak to the emergency operator @imanshumpert tied a pair of red headphones around the umbilical cord and the ambulance made there grand entrance 5 min later. She opened her eyes right away, gazed into mine and never cried! He handed her to me wrapped in our bath towel and wiped her face for me to see what LOVE really is." Baby Junie was born Dec. 16 at 6:42 a.m. in their bathroom. 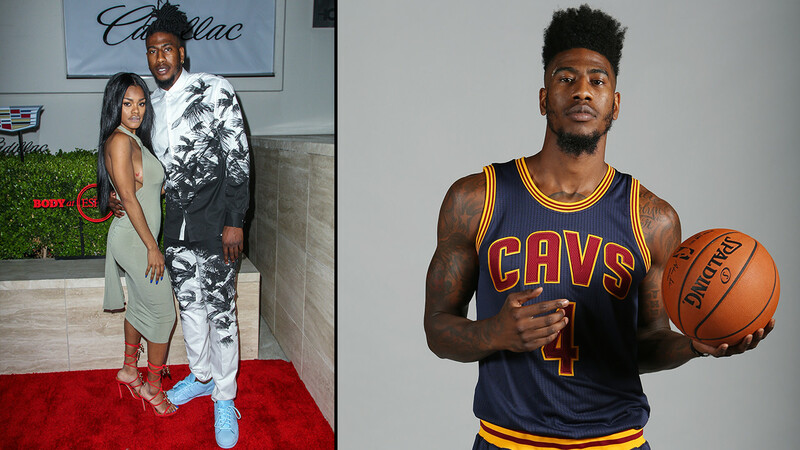 Shumpert was picked by the Knicks in the 2011 NBA draft. He was traded to the Cleveland Cavaliers earlier to this year.